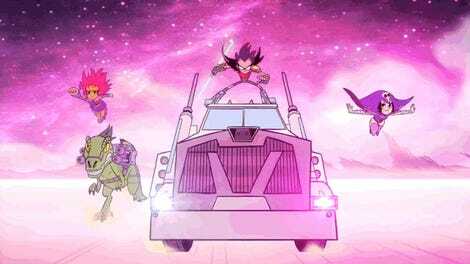 How I Learned to Embrace the Silliness of Teen Titans Go! How I Learned to Stop Worrying and Love Teen Titans Go! 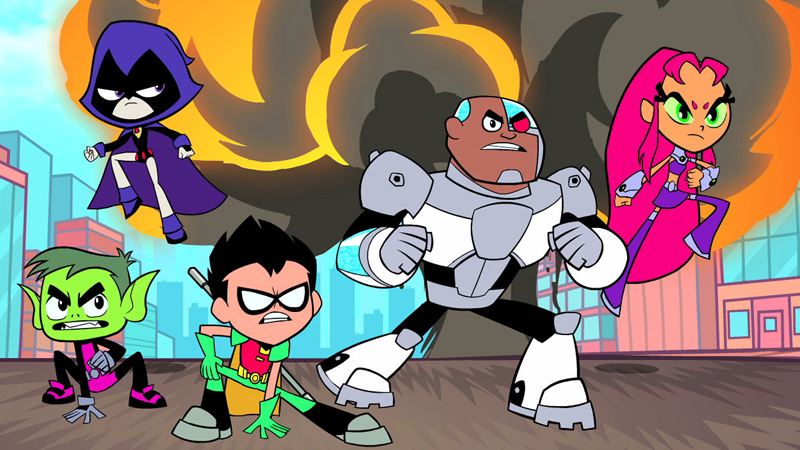 Filed to: Teen Titans Go!Filed to: Teen Titans Go! The Teen Titans they’ve been for five years now, as much as many people dislike that fact. When I was a spry young teen a million years ago (or more realistically, 15 years ago), there was no more all-encompassing cartoon than Teen Titans. It had action! Overarching plotlines! Slade! So after it was all over and Teen Titans Go! came along a decade later, I, like many Teen Titans fans, wasn’t enamored. Robin and the gang still looked like the Titans of the show I loved, albeit quirkier. They had the same voice actors, too! But the episodes were shorter. They were mostly standalone skits. And they weren’t really action-packed or dramatic, they were—gasp—comedic. 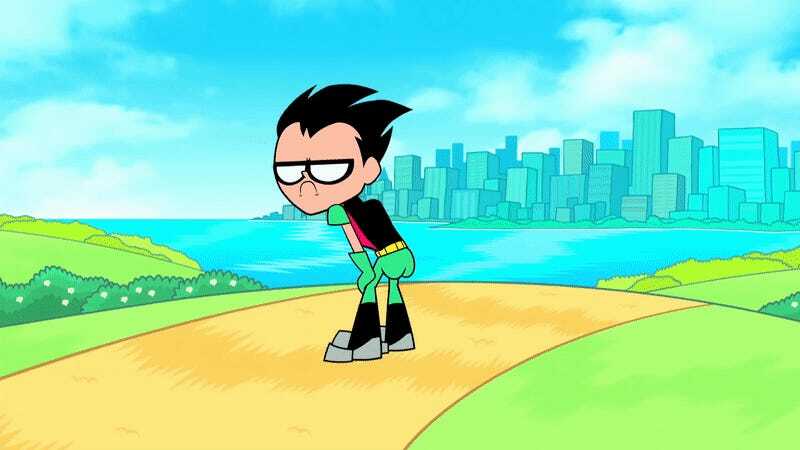 It didn’t feel like the Teen Titans I loved, even if there were some continuing elements, and so, I stepped away—the Teen Titans I knew was gone, replaced by this weird skit show that loved fart jokes and singing about waffles in equal measure. Yes, I believe this is classified as High Art. There are still a lot of people who feel that way about Teen Titans Go! today—and are more than eager to remind people of that Go! is inferior to the original series, especially now that the movie is on the way. And now that it turns out the Go! movie is actually pretty great, too, you can’t mention Teen Titans Go! without a cavalcade of responses about how it’s bad and dumb, and not a patch on the original, amazing Teen Titans, and so on and so forth. I was, for a time, one of those people, but now I share the seemingly unpopular opinion: I love Teen Titans Go! Part of that is simply through the process of outgrowing my teenage fascination with seriousness and being taken seriously, and in turn, learning the simple adult lesson that two interpretations of a thing can both be good in different ways (I know, right?). But the other part of it was that I finally started accepting that Go! wasn’t trying to be what Teen Titans was, a serious adaptation of the dramatic roots of the classic Teen Titans comics. It was joyfully dumb as rocks—as a celebration of the fact that superhero comics themselves are also occasionally dumb as rocks. A serious show for serious people, living their serious lives. I mean that in a charming way, of course. There is an endearing zaniness to the world of comic books that, because it has endured as a sort of incredibly silly background radiation for so long—even hidden away at times, as comics took the hard and long road to wider acceptance in popular culture to reach the giddy heights they have today, where even the New York Times is dropping Batman spoilers—we tend to take it for granted. The premises are absurd, the drama fantastical—it’s men, women, and space aliens in tights with remarkable abilities fighting crime. Go! just lays the inherent absurdity of superhero comics bare as its central conceit, and takes it to the next level by contorting itself into the zaniest, weirdest shape possible. In a world as bizarre as the one inhabited by DC’s finest superheroes, everything is at least a little bit silly, and therefore ripe for joking about. Which means yes, there’s song/food fights about whether burritos are better than burgers, or origin retellings that liberally swipe from other superheroes, DC or otherwise. It means Darkseid showing up and being voiced by Weird Al Yankovic, and it means bizarre cyberpunk spinoff episodes with surprisingly catchy tunes from another of my teenage obsessions, Fall Out Boy. No target is too sacred for Go!’s metanarrative-smashing needling—be it the comics, the DC movies, TV shows, or yes, even the fans themselves who still like to constantly bemoan how bad Teen Titans Go! is. Plus, where else are you going to get Batman and Jim Gordon as the most adorable couple? In making a goof out of anything the show touches, it takes a joyful approach to everything DC is, and in its way is an equally loving embrace of the source material as the serious tone of the original Teen Titans was. The latter raises up the dramatic strengths of those beloved comic stories, the former acknowledges that beyond that drama, there was always a ton of fun that made us fall in love with those wild and weird comics in the first place. And it’s the former that even now, as comic book media has reached its domineering pop cultural apex, that still doesn’t get the spotlight as often as the interpretations that want to treat the source material as seriously as possible. It took a few sneaky jokes here and there for me to realize this myself, but when I finally did, I couldn’t help but love Teen Titans Go! for reminding me of just how delightfully absurd my favorite superheroes can be. That, and that waffles song really is bloody hard to get out of your head sometimes.